Over 27 years, our team has provided Hunter Douglas Airdrie with blinds and shutters with the highest level of customer services. As residence of Airdrie way back before the housing development boom, we can appreciate good service and quality workmanship. 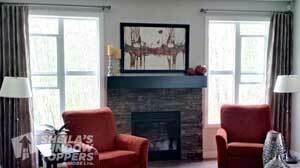 To this day, Sheila’s Window Toppers continues to dedicate resources to Airdrie homes. Choose from our large selection of affordable and quality shutters and blinds with our in-home consultations from people that appreciate the uniqueness Airdrie provides. 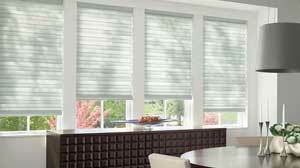 Hunter Douglas Airdrie Window Coverings! Find a wide variety of Custom Window Shades, Curtains, Blinds, Airdrie Shutters, Roller Shades and Custom Window Treatments. AIRDRIE BLINDS FOR EVERY BUDGET…WITH GREAT QUALITY! Sheila’s Window Toppers provides Hunter Douglas Airdrie blinds, shutters and drapery for every new, renovated or existing home, providing the perfect balance of design, colour and function. Our expertise in custom curtains, drapery, roller shades, blinds and shutters have been regarded as some of the best in the industry for over 26 years. From Airdrie Hunter Douglas to other quality brands, we have blinds and shutters to fit every budget without compromising design, function and quality. Window treatments are a long term investment and provides privacy and protection from exterior light and sound and are an important design element to complete any home. All of our Airdrie Window Coverings can be motorized by Hunter Douglas PowerView, Somfy or other power systems for greater ease and functionality. Our Hunter Douglas showroom is located in Crowfoot Calgary and is open to view, sample and compare products to better understand how each blind and shutter can differ from brand to brand. Choose from a variety of shutters from Hunter Douglas shutters to wood shutters to polysatin shutters. We are known for our expertise and professional configuration of difficult windows. Providing multiple brands to meet your budget, with the best shutter prices in the city! The products and service we received from Sheila’s Window Toppers were phenomenal. 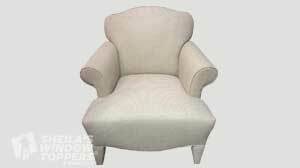 Our drapery vision was quickly revealed in the showroom and for a very reasonable price compared to a local competitor that was $1000s more. The installation was professional and friendly and the drapes look fantastic. The reupholstery of the chair is also great – the rebuild and extra touches were above and beyond. We will definitely use Sheila’s for future decor needs! I recently moved into a new home in Airdrie and I approached Shiela’s Window Toppers to do a blind installation for the complete house. The service was great from the start. We were shown all the options and explained all the details very professionally. They went to take measurements at the house, and even recommended a colour for us by looking at the interior colour scheme, as we were somewhat unsure which way to go with such a large selection of available colours. The blinds were delivered on time and were of high quality, the installation was perfect with not a single granule of debris left behind and not a single mark on the walls or window frames. Needless to say, the colour they recommended worked perfectly and looks fantastic! You will be very hard-pressed to find better quality service, product, and installation at a better price, if this is possible at all. I highly recommend this company for all your window covering needs; it is simply perfectly smooth sailing all the way. We are thrilled with our new blinds. Sheila ensured we made the right choice for color, style & practicality for all of our window covering’s throughout the house. Our order came in on time & was installed promptly & professionally. I wouldn’t hesitate to use her services again in the future, should the opportunity present itself. When it comes to providing draperies and window treatments, we are the experts in Airdrie and Calgary with our collection of hundreds of drapery fabrics that will take your breath away. Custom drapery, custom window coverings and custom shutters are our specialty. We create timeless styles with our custom drapery treatments adding beauty and elegance to complete your home design. Sheila’s Window Toppers offers a number of fabric manufacturers, equaling to hundreds of designer fabrics for your custom drapery, upholstery, or custom bench cushion. Give us a call or visit our Crowfoot showroom to help you select the perfect drapery treatment to complement any room in your home. Learn more about our window covering Sales. Hunter Douglas sales are offered on a wide variety of custom window coverings including Silhouettes, Pirouettes, Roller Shades, Roman shades and honeycomb blinds like Duettes. Best Hunter Douglas Sales in Calgary!